The course aims at providing basic and practical knowledge of RF-measurements. In the course practical measurements, exercises, and demonstrations are mixed with basic theory and conceptual understanding. There will be plenty of opportunities for questions and discussion with the teachers, and other students. The price includes lunch and coffee, course documentation and the books "Fundamentals of Vector Network Analysis" and "Fundamentals of Spectrum Analysis". Please note our Terms and Conditions for the RF Measurements course further below on this page. The noise and noise term (noise sources, SNR, SINAD, noise figure, noise temperature, Friisequation for noise. Professionals with experience from Radar, Radio or Telecommunication. Claes Beckman is an antenna systems engineering professor and the founding director of the research center wireless@kth. He has more than 30 years of experience from both academia and the wireless (radio and radar) industry. 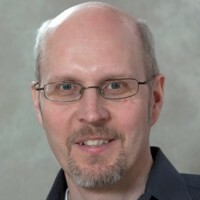 He is also the founder of the center for RF Measurement Research at University of Gävle and has worked as an RF engineer at Ericsson and a research manager at Allgon. Per Ängskog works as a researcher at the department of Electromagnetic Engineering. He has worked on the design of radio test equipment for mobile phones and base stations at Ericsson Radio Systems for 10 years . He has taught courses in RF measurement technology since the late 1990s, first at Ericsson and then at the University of Gävle where he also developed systems for radio measurements in industrial environments. Terms and conditions: Rohde & Schwarz reserves the right to cancel the course in case it is not fully booked. In such circumstances, we will offer alternative dates or a full refund. Cancellation Policy: Registration can be cancelled without charge up until 1 month before the course starts. For cancellations 2-4 weeks before the course starts 10% of the course fee will be invoiced. Cancellations 1-2 weeks before the course starts will be invoiced 50% of the course fee. For later cancellations, 100% of the course fee will be invoiced.